It is Spring and Mother Nature is offering us a variety of conditions, which is typical for this time of the year. Our grooming team has been working hard to offer you the best conditions on 540 acres of terrain for all levels of skiers and snowboarders. Please note that visibility is greatly reduced due to fog and Soleil side will remain closed all day. Tremblant is located in the high Laurentians mountains in Canada. This resort offer the best possibilities for your family trip, at any time of the year. With its ski area covers 305 hectares, its picturesque pedestrian village and two of the most famous golf courses in Quebec, this destination has became a not-to-be-missed tourist destination and continues to create memorable times. In this unique four-season resort, experience exhilarating moments ! This spring, add a touch of music to your ski day when you take in live music performances on Place Saint-Bernard every Saturday and Sunday. Sunshine, ski and music… A winning combination! 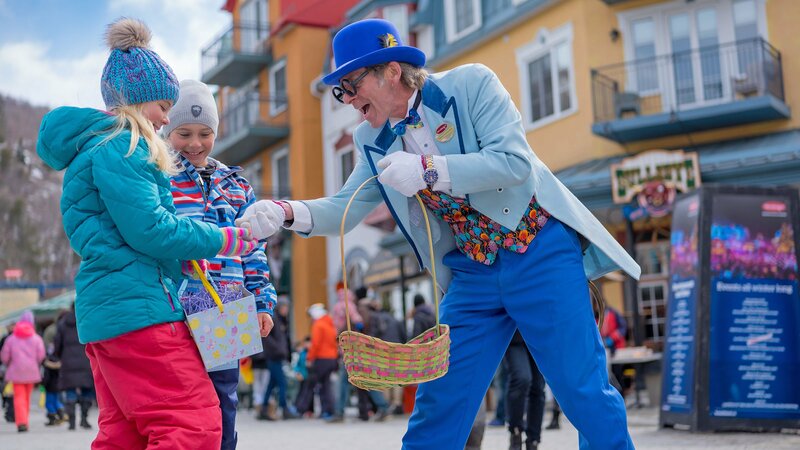 Easter is cause for celebration in Tremblant! Turn your family weekend into a magical one with one of the many Easter-themed activities on offer: music, an egg hunt and more! Of course, Tremblant is not just about the great ski slopes in winter! Snowmobiling, dogsledding, cross-country skiing, tubing, ice skating, snowshoeing, ice climbing, alpine touring and so much more! Choose from these many exhilarating activities and build your dream vacation. 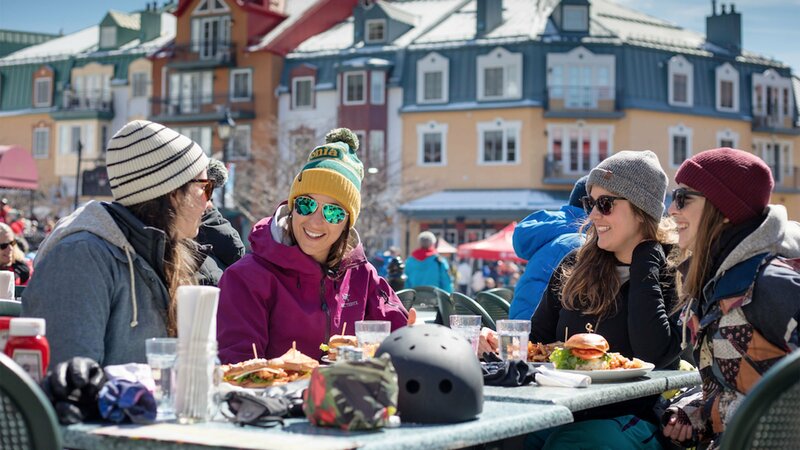 At Tremblant, there is so much to do, you'll run out of time before we ever run out of ways for you to spend it. The holiday season at Tremblant is synonymous with fun and games for large and small. Bundle up and join the festivities! Warm up in front of one of the many fire pits as you take in the magical setting. During spring break, plenty of special activities and entertainment are happening throughout the village.